Cornershop are back! Yes, Leicester’s own 90s indie stars, famed for their 1997 number 1, Brimful of Asha, have just dropped 2 new recordings and are currently working on a new album. For a sound of summer their new tracks, ‘Double Denim’ and ‘Sugar Sugar’, will provide the perfect soundtrack. ‘Double Denim’ really celebrates the summer, reminding us that music is still the key to many of our woes. The colourful video celebrates denim as a way of expressing one’s love for music with badges, patches or spray paint. Featuring the fictional band Heavy Duty , Director Ian Viggars ’s simple animation is an homage to Hannah-Barbera and Peanuts. 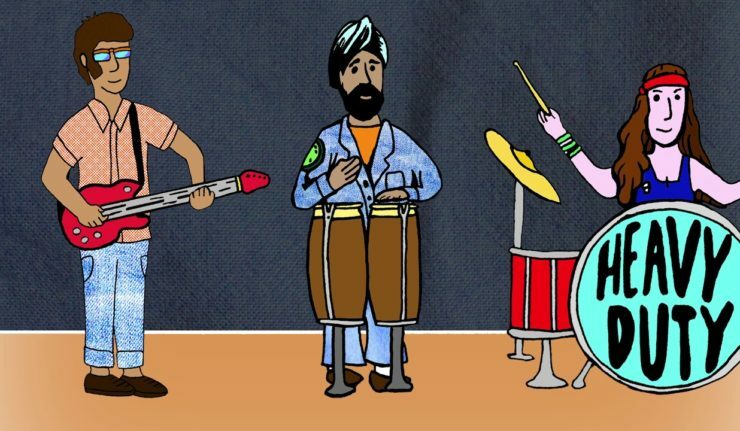 Cornershop will soon be back with a brand new album through Ample Play Records. More details coming soon!